Thanks to Mr Bobby for making the entire experience of buying diamonds very enlightening and delightful. What we liked is that entire staff focused on understanding our requirement and guided us throughout the process. We are extremely satisfied with the service, attitude, pricing and quality and would definitely recommend Raj jewels to all our friends. Excellent service and amazing jewelry! Very helpful, excellent selection of jewlery. 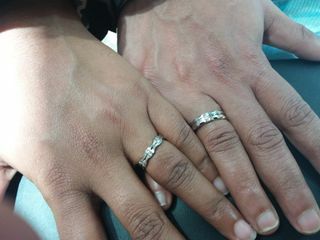 The staff were very helpful (Vishal) when I was trying to select my wedding jewelry. I was able to find a beautiful piece! This was an excellent place to browse and buy bridal wear jewelry. We never felt pressured to buy. The salespeople were very approachable. One stop shop for all jewelery need. So happy with my purchases. Came here for my wedding shopping and every piece I purchased was exceptional! Amazing customer service! Met our needs at very short notice! Thanks a bunch! They accommodated our request to the best of their abilities and ensured my fiancé got the wedding band of his choice at an affordable price. 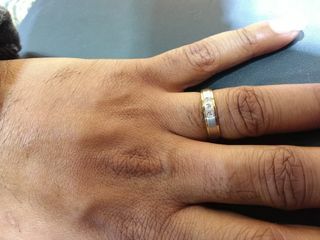 We were very happy with the service and experience at Raj jewels. They have a wide variety to choose from and are always ready to help. Highly recommend. Our experience here was very pleasant. The full staff was very accommodating with our price budget. We are very happy with our experience and will definitely be back! Fantastic service. Very happy. Will definitely be coming back! Reasonable price and excellent designs. Happy with the purchase, cordial customer service. Mini was very friendly and helpful ! Best place to buy for wedding, so convenient to find our models . 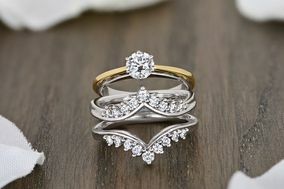 Staff is very experienced in selecting your right models and jewelry for wedding. I went to Raj Jewels to get my mangalsutra and gold bangles. Kushi worked with my parents and in-laws to set aside over 20 pieces for me, and then spent time with me to try them all on and helped me find my mangalsutra! Raj Jewels is very professional and has great deals and something for every price point. Everyone was nice and willing to help out. Great experience with Raj Jewels for both my engagement necklace, and a beautiful Mangalsutra too! They are definitely patient, even when very busy! Great service we really enjoyed our shopping experience!! Walking into Raj Jewels, we didn’t expect to find a mangalsutra as beautiful as Khushi showed us given my fiancé’s specific taste. Definitely recommend this jeweler to everyone in the area! The customer service was very helpful in guiding us as to which set/chodiya or kadhai to buy. Highly recommend to any one who are looking to buy great jewelery for their special someone. Best jewelry buying experience. Varsha was amazing. VERY patient not push. EXCELLENT! !